Santa Maria BMX is a non-profit organization that provides families a fun and rewarding experience through the thrill of bicycle motocross. We provide a safe, comfortable environment for riders of all ages and skill levels to participate in this exciting action sport. 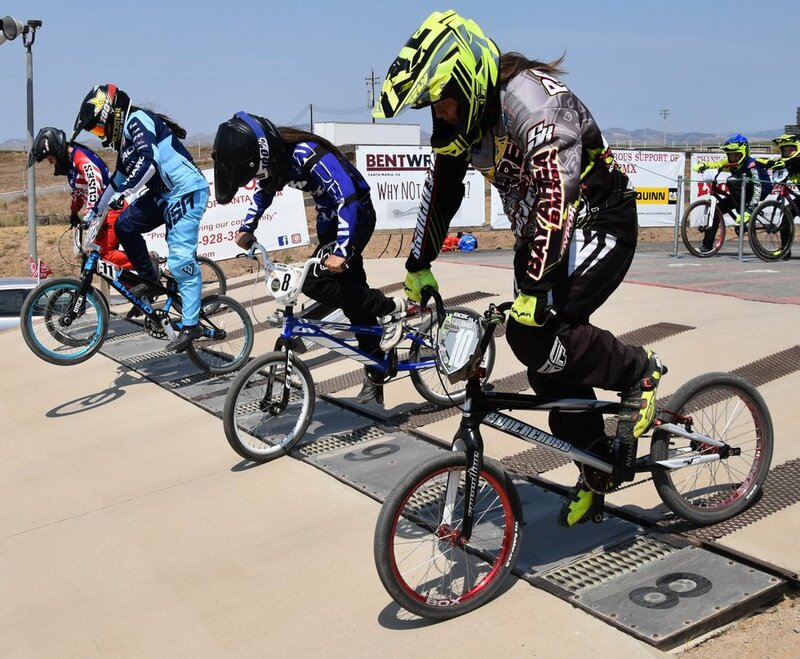 Riders of nearly any age, who can ride a bike, are welcome to practice and race with us. Ages range from 3 to 50+ and many families have kids and parents alike participating. Please bring your bike in sound condition with working brakes, please remove the chain guard, kickstand and reflectors. If you don't have the tools handy, we're happy to assist you at the track. While the level or amount of safety gear is up to you, a rider must at least wear the basics of: an approved helmet, long sleeve shirt, long pants and closed toed shoes.